Spelunky debuted as a single player, pixilated freeware game a few years ago. It will soon be making a jump to the big leagues, and by big leagues, I mean the Xbox Live Arcade. Okay, so not necessarily the majors, but hey, at least now people will have to pay for it. The XBLA title will feature hi-res, hand painted graphics, a new soundtrack, and best of all, 4 player local co-op (or deathmatch). The game is a throw back to the old 2D platformers we all know and love. I first thought this was a port of the PSN title, Spelunker HD, which itself is a remake of an even older (1985!) game. While Spelunky looks to be heavily influence by the incredibly difficult title, they are separate games all together. It does appear that they share the same love for quick and painless(?) deaths, as you will see in the multiplayer portions of the video. 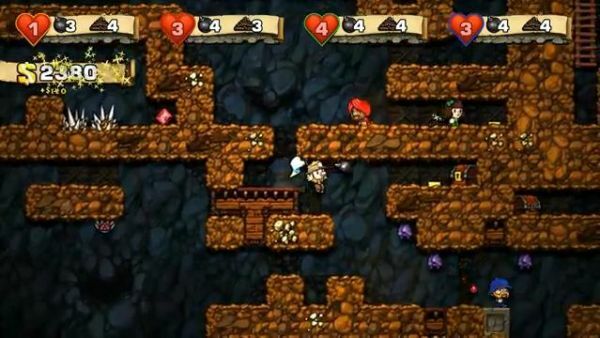 Spelunky will be coming to the XBLA later this year.